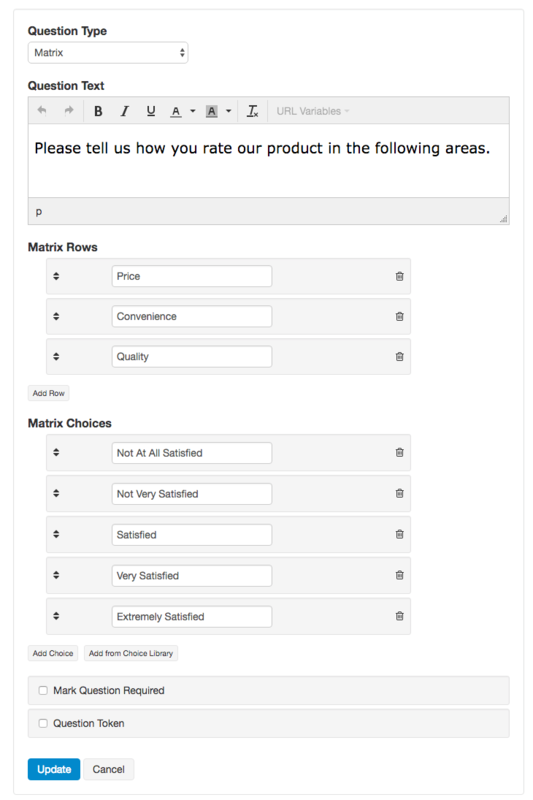 Matrix questions are great for getting feedback on multiple attributes of a product or service quickly. The way the question it allows customer to rate their experience quickly but going to down a list. Here's an example. To create a matrix question, find it in the list of question types and drag it onto the survey editing area. 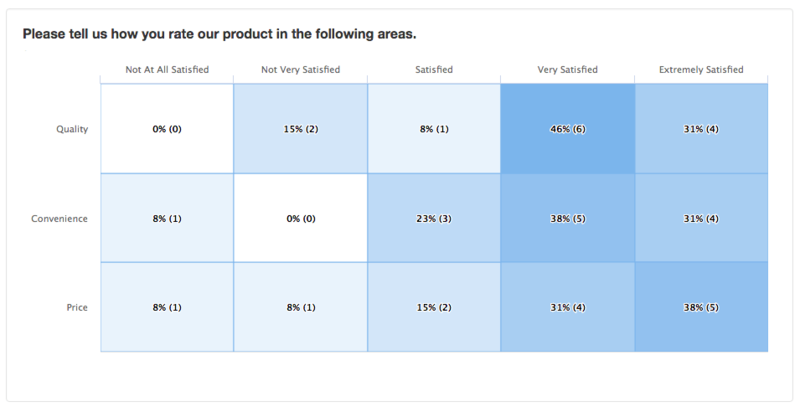 When the responses are gathered we will show you a grid so you can quickly get an idea of where you stand with in each of the areas. Dark blue indicates a higher portion of answers and white indicates less so.